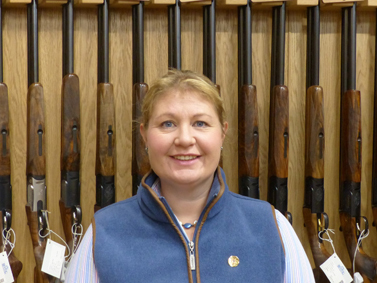 The team at Bywell Shooting Ground have extensive knowledge to guide and assist you with your purchase from the start to finish, in making sure you have the right gun for the job. 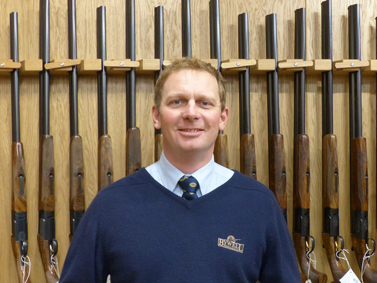 Allan has many years experience in clay pigeon shooting and has represented England on numerous occasions. The summer months he oversees all the farm work and is on hand in the gunroom the remainder of the year He has a wealth of knowledge of all things shooting related. 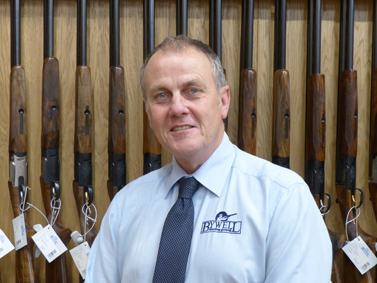 Allan alongside his son John selects the vast range of guns available in the showroom. 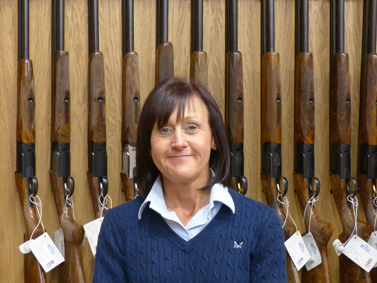 Susan is head of the clothing department at Bywell Shooting Ground. She spends a lot of time selecting the new lines of products that will be available in our store. Any technical queries on clothing and Susan is the person to see. 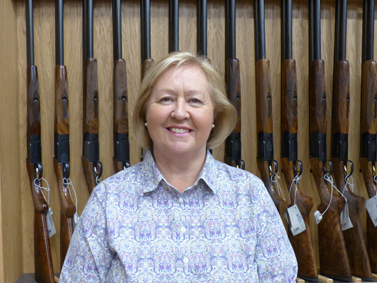 Anne is responsible for the accounts department of the shooting ground as well as the organisation of all our major championships and registered shoots. Also having a keen eye for the cloths she is sometimes in the shop to assist with the fine aspects of country living. John has numerous years shooting competitively and in game shooting. He spends the summer months on the family farm and the remainder in the gunroom. 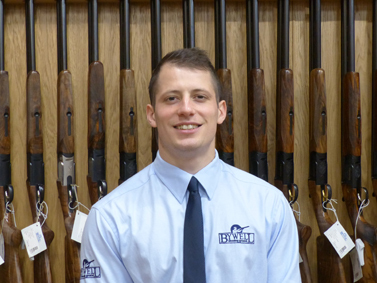 He assists with taking clients on our made to measure factory visits to make sure they come away with the perfect gun. 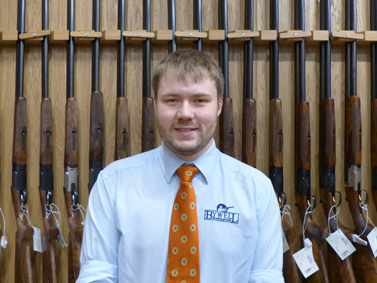 Alongside his father Allan he selects the vast range of guns that are available in the showroom here at Bywell. Philip is our fully APSI & BASC qualified head coach at the ground. He will bring the maximum out in your shooting, whatever your chosen discipline. Whether it’s your preparation for those driven game days or just a brush up he will certainly get you shooting where you want. He is also available for in field tuition. Paul has many years experience shooting both competitively and for leisure. 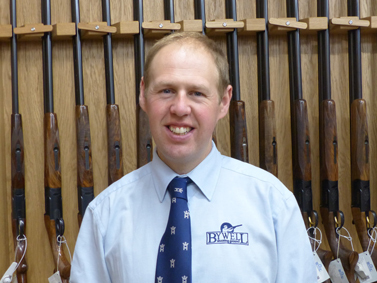 He runs the operations in the gunroom and is on hand to offer guidance and advice on any of your shooting queries and requirements. Paul is sure to give you the best advice to ensure you get the right gun for the job. William is responsible for running the advertising and social media presences of the shooting ground. This involves the website as well as our magazine commitments. When not doing so he can be found in the gunroom to offer advice and guidance on your next purchase. Having grown up in New Zealand Mickey spent the majority of his free time from a young age doing some form of shooting. He has a passion for all forms of field sports be it game/wildfowl shooting, deer stalking or vermin control. 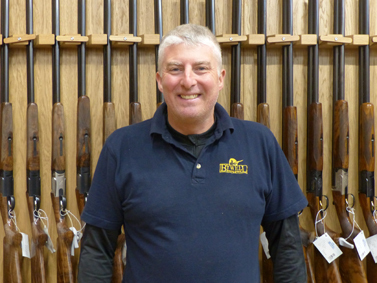 Mickey brings a good knowledge of rifles, optics, ammunition and shotguns and can aid in assisting you with any of your shooting requirements. Susan has a keen eye for the clothing and country accessories. She loves nothing better than assisting you with selecting that perfect outfit and country attire. She is on hand in the shop to help you with whatever you need for your next shooting outing. Jason is responsible for maintaining & running all aspects of the ground, from traps to the immaculate manicured lawns. He sets the targets for practice, competition and corporate days to ensure there is something to suit all shooters.